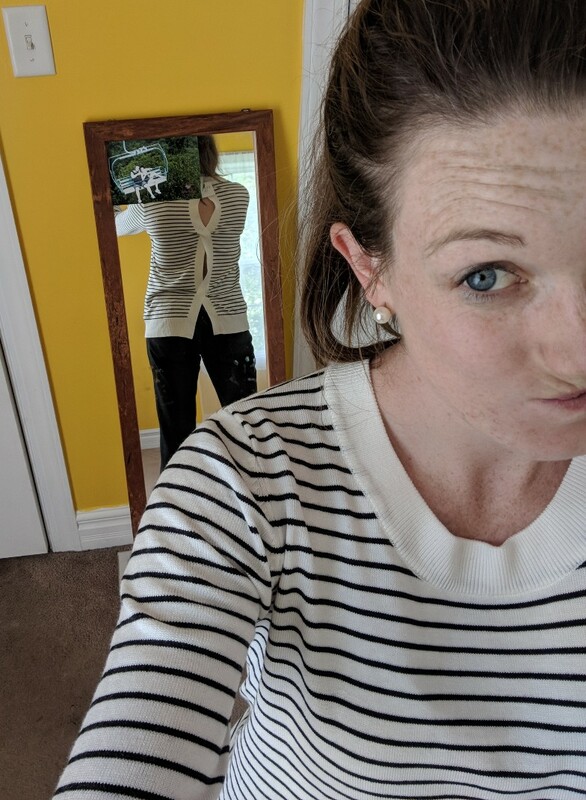 August was a sad month for Stitch Fix. I was excited about their launch of Stitch Fix Kids and thought it was perfect timing to get Crosby a fix for his 2nd birthday in September. However, a couple days before his fix was scheduled to ship, I received a customer service email that basically said they didn't have enough inventory and I could choose whether I wanted Crosby's fix cancelled or postponed. I figured it would be easier to just go out and buy something myself on another website, so I cancelled Crosby's fix. Womp. 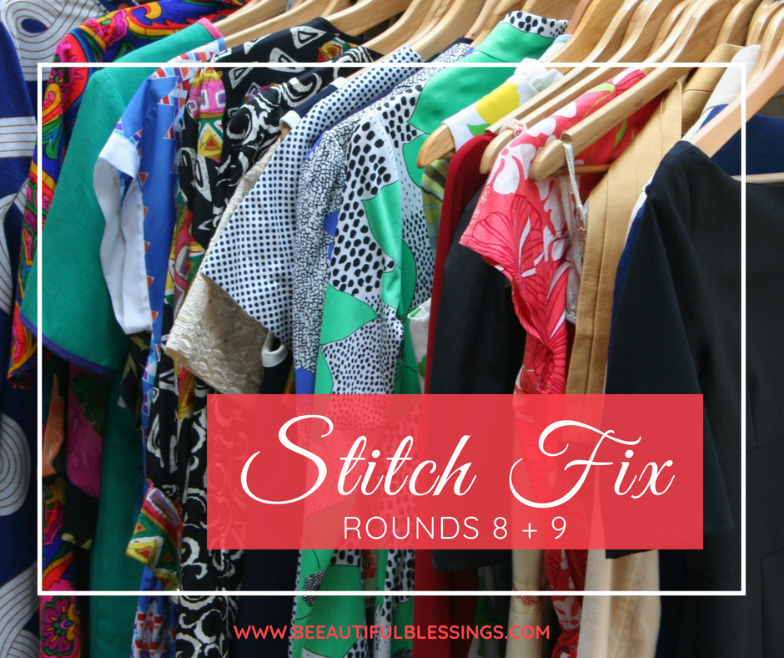 I was also unhappy with my own August fix, but before we dive into that, let's journey back to July so I can show you what I got in my eighth fix! Although I was a little concerned with how low-cut this top was, I felt like the tassels did a pretty good job of covering up my ladies. Not to mention, I loved the color of this blouse! I loved the fit and the flutter sleeves. 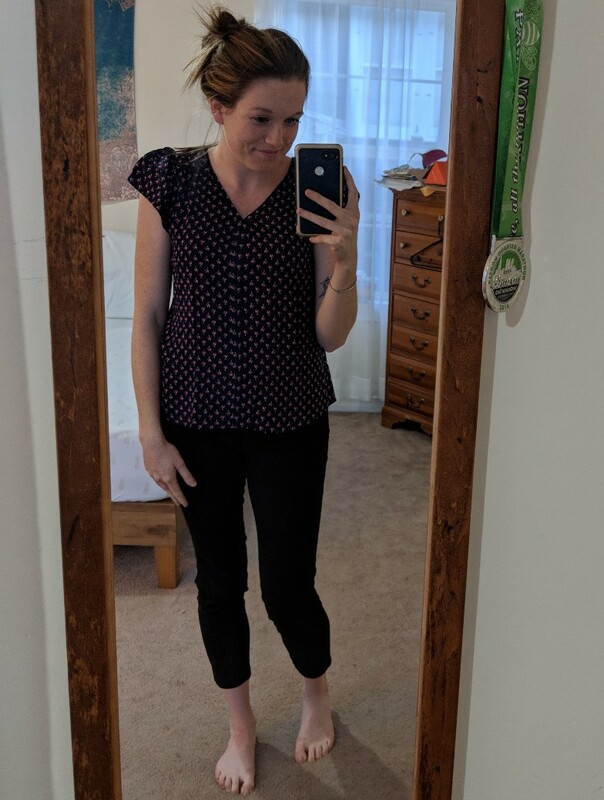 Plus, this top goes well with the navy dress pants I received in my last fix! I was a little unsure of this one before trying it on. 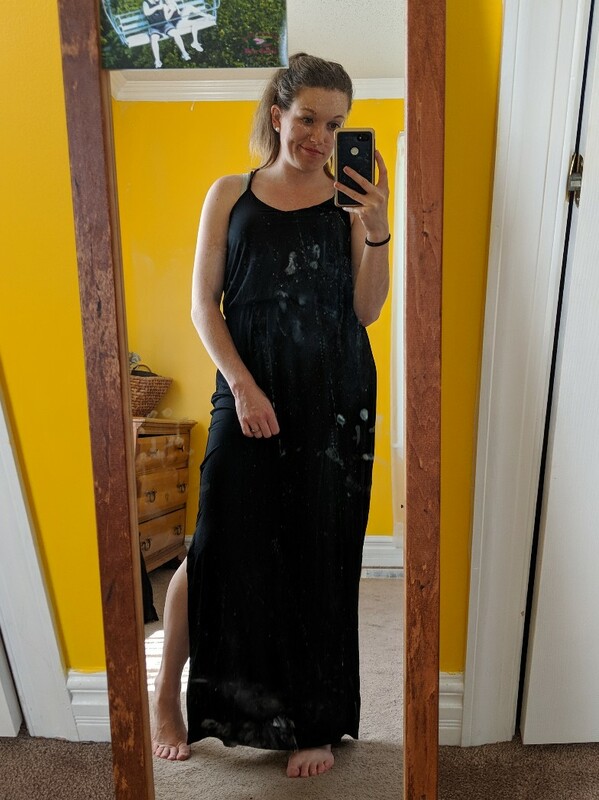 I thought it might be a little too loose-fitting or old ladyish. But once I tried it on, I was sold. This fix was a perfect example of why you should never judge a book by its cover. 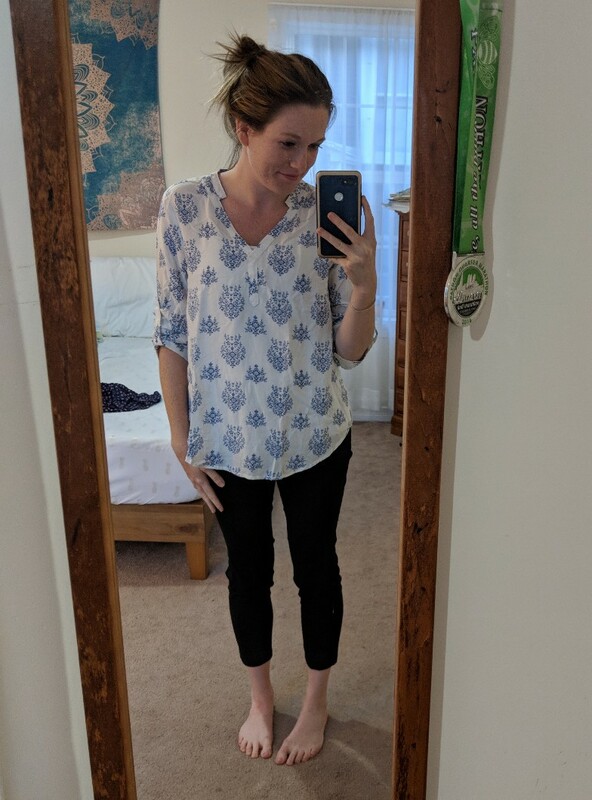 I loved that my stylist answered my request for a nice wedge and I happen to love Toms, so I thought this was a match made in heaven. But once I tried them on, I just didn't like them at all. I'm not a fan of peep-toe shoes (strange, I know) and the denimy blue color was just not doing it for me. 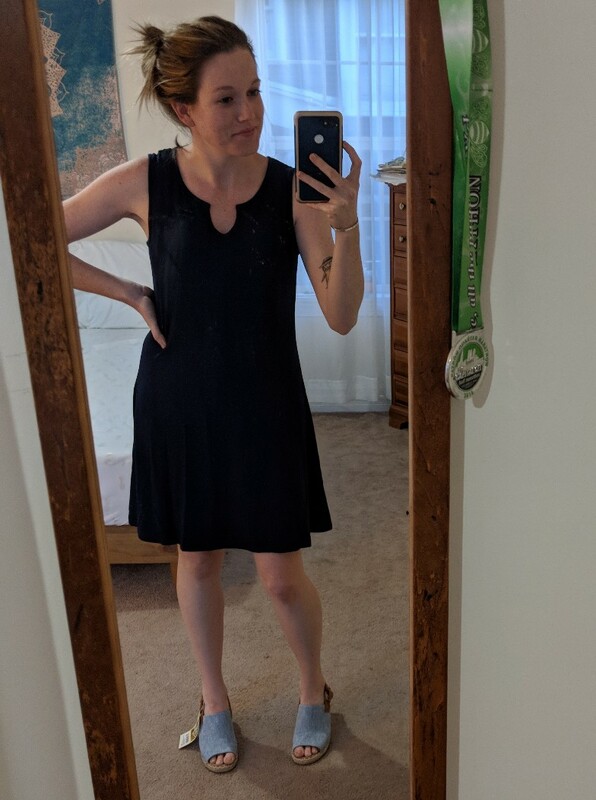 The dress I just all around did not like. I disliked the neckline and felt like it was too matronly. 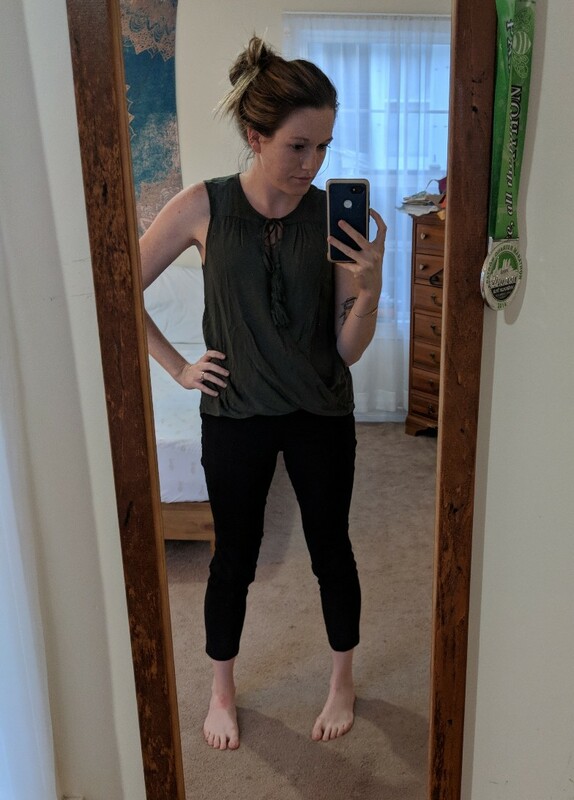 In the pictures, this top looked really boring and plain. Although it was admittedly cozy when I tried it on, it looked...really boring and plain. 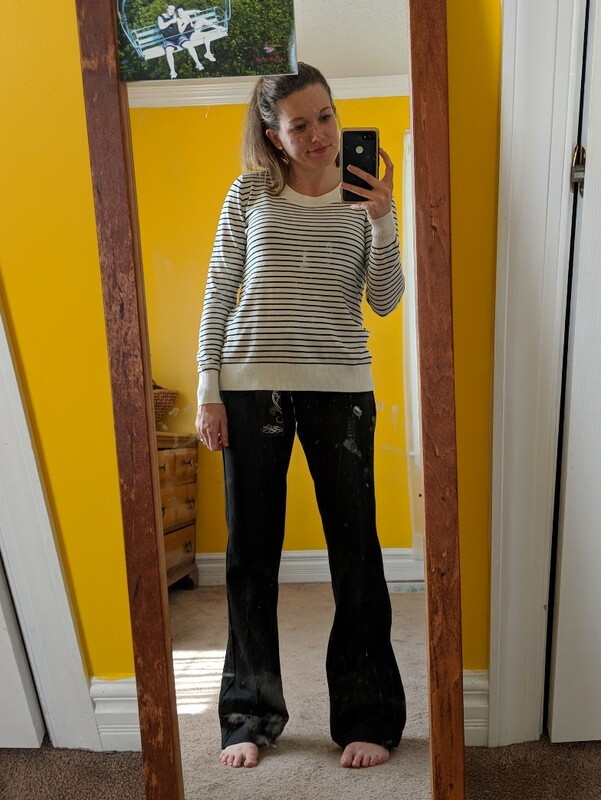 As for the pants, my stylist wrote, "I know you prefer a skinny silhouette, but we are seeing a lot of wider leg pants for the upcoming fall season." Call me clueless when it comes to fashion, but I know what I like and I stick to it. 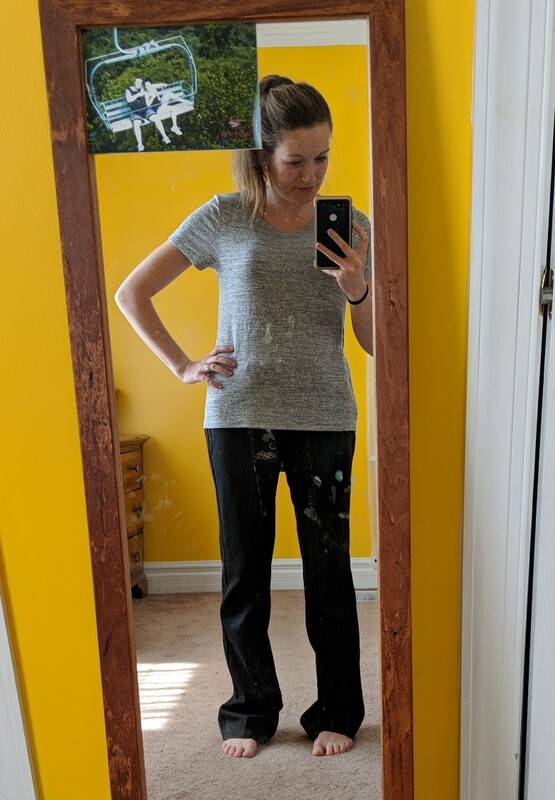 I like my skinnies, and I'm not ready to jump back on the bootcut train, so these were a big fat no (even without the sizing issues!). 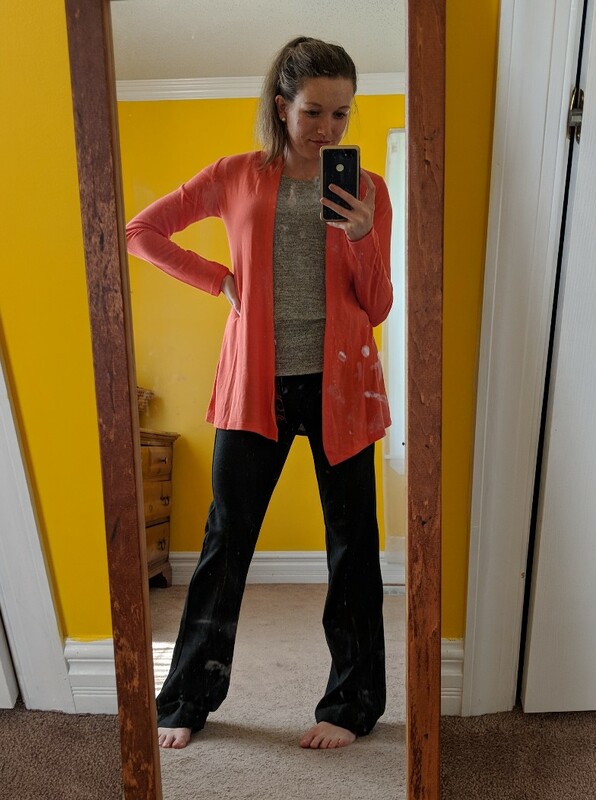 I could some more cardigans to transition into fall and I did like the color, but the material seemed kind of cheap and I worried how this would hold up long-term. This was a no based on quality. This sweater was the biggest disappointment, because the truth was I actually liked it!...from the front. The back was a no-go for me. It looked cheap and sloppy to me, not something a put-together professional would wear (in my humble opinion). So as much as it saddened me, I bid adieu to this sweater, as well. I did request a black or red dress for an upcoming family photo session we're having. However, this dress was a less flattering version of a dress I already own, so I passed. So, what do you think? Was my last fix as much of a dud as I thought it was or am I just being melodramatic? P.S. You may have noticed my wall color change in between fixes- stay tuned for a master bedroom tour!